Merchandise – Support Alzheimer’s Awareness! 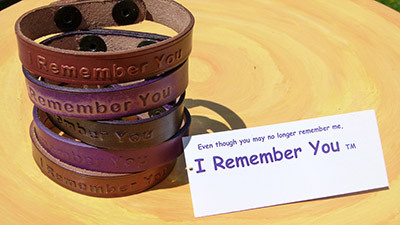 I Remember You® Alzheimer’s bracelets were created to raise awareness for Alzheimer’s disease and the people who care for and love those affected by it. The journey of Alzheimer’s disease can be lonely, stressful and devastating. 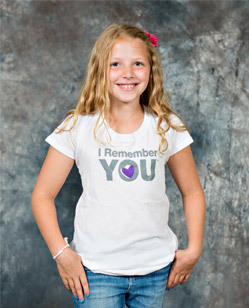 Our mission at I Remember You® is to raise awareness for Alzheimer’s, to remind people that they are not alone, that we’re in this together, and that we’re united in our love for those affected by Alzheimer’s disease. Together we will work to find a cure, support those diagnosed with Alzheimer’s and those caring for them, and honor those we love who may no longer remember us.